Loyalty Program — ALTERNATIVE WAY CO.
“LRP” stands for Loyalty Rewards Program and it is the best way to get value for your money. With your wholesale account, you already received 25% off any oil or supplement purchase. When you place a qualifying LRP order each month, you receive between 10-30% of your purchase back in LRP Points to redeem for additional products! The 30% is reached after 12 months of placing orders that meet the criteria below. I like to compare the Loyalty Rewards Program with a frequent flyer program, although you will experience the value of your points far quicker than you will with travel and minus any hustle or any disappointment when redeeming points (queue fluctuating ticket prices when you could redeem a return ticket to NY yesterday but a week later, the same points can only get you to Tassie!). 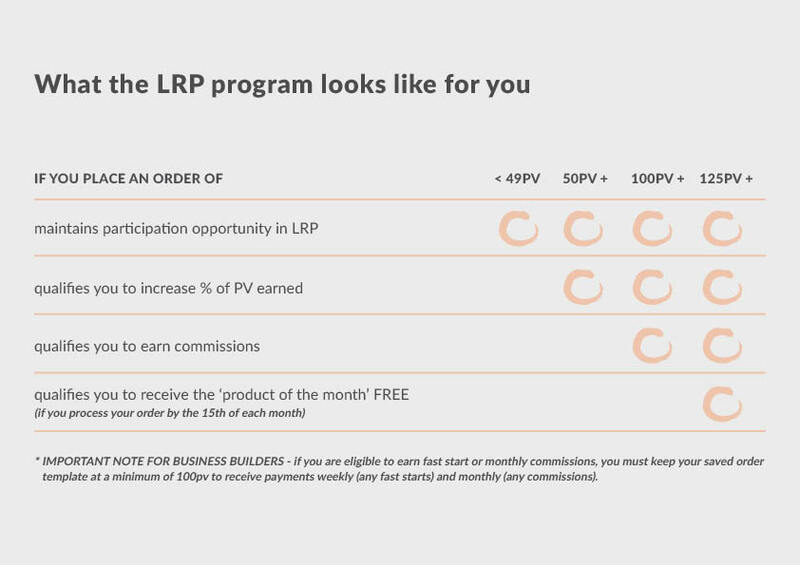 If you need any further clarification or to chat about how the LRP program can benefit you and save you $$$ then get in touch with me. This is an example of what PV points convert to - FREE OILS!